Restaurant meals are notoriously high in salt, fat and sugar, so much so that I’ve had to walk away from many of my favorite dining out meals and search for restaurants that will cook special dishes for me without any of the big three that raise my blood pressure and clog my arteries. Had restaurants, especially national chains, finally heard my cry for no salt, no fat and no sugar? 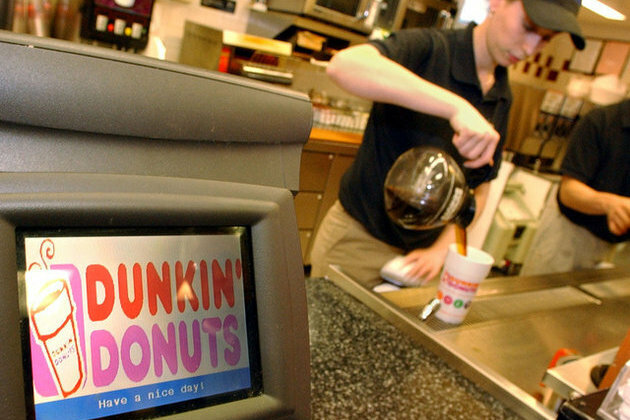 Dunkin’ is trying, but not to healthy yet. Well, not exactly. Several of the new menu items mentioned have less fat and almost all have fewer calories than older, comparable dishes. But from what I can see, the salt remains and often the sugar and fat remain as well. Dunkin Donuts, for example, is cited for having a new turkey breakfast item on a whole wheat bagel. I applaud the use of whole wheat bagels, but processed turkey slices are high in sodium so not something I can eat. Many bagels also are high in salt, regardless of whether they’re whole wheat or not. The eating out challenge remains, check my eating out page to find places I’ve found that can accommodate your requests for low salt, low fat and low sugar menu items.